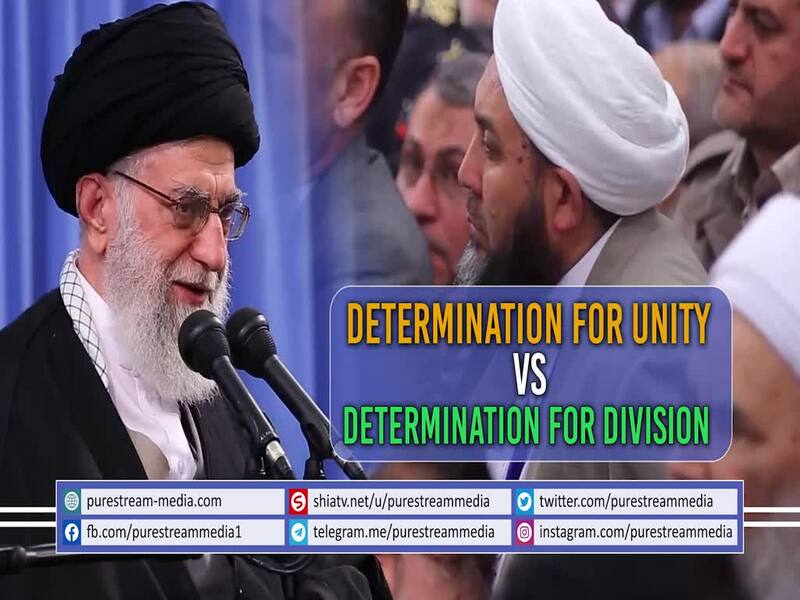 Leader of the Muslim Ummah, Imam Khamenei, highlights the war between two fronts; one is pushing for unity between Muslims by stressing upon the commonalities; and the other pushing for division by stressing upon the differences. Which side are you on? There is no middle ground here!